No special singing ability is required and all are welcome. Below is a list of workshops that are running in the near future. For more information or bookings contact Delia. or ask for bank details to pay by BACS. Songs in rich 2, 3 and 4-part harmony, all taught by ear. A treat not to be missed! All welcome, including children old enough to participate. or use the online payment button below. or ask me for bank details to pay by BACS. 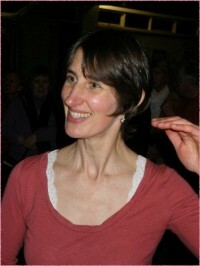 experienced singing workshop leader & Alexander Technique teacher. A unique one-day opportunity to come and explore tried and tested ways of running Taizé chant and sacred songs workshops. I will introduce you to ways of building an atmosphere and group-energy conducive to learning and singing these unique and special sacred songs. We will explore how to prepare the group for singing, using warm-up material conducive to creating an ‘energetic backdrop’ appropriate to these songs. We will address pacing, atmosphere – importance of candlelight, and how to ‘build a workshop’ from start to end, with examples of appropriate material for this. There will also be opportunities for participants to teach and receive feedback when desired. how their physicality effects their voice and breath. We will work work in stillness (lying on the floor) and in movement, whilst singing, speaking, sounding…. To secure a place please pay with the Paypal button, or ask for bank details to make a BACS transfer. happy, successful singing workshops and choirs. To help to pre-learn potentially tricky elements of songs…..
upon completion of this training workshop, as proof of CPD. Cost includes all refreshments and lunches on Sat and Sun. Local accommodation from £25 per night– please ask for a list of local B&B’s. To secure a place please book a place now using the pay now button. A short song with foreign words or tricky words – that you may consider ‘a bit of a mouthful’! A short song that contains a challenging interval or some harmonic clashes, or an unpredictable harmony – something with a challenging element in it! If you can’t make one of these workshops and are happy to help organise one in your area, then I will be happy to tailor-make a workshop and come to you to run it. Just let me know what sort of workshop theme(s) you would prefer and what your general requirements are.